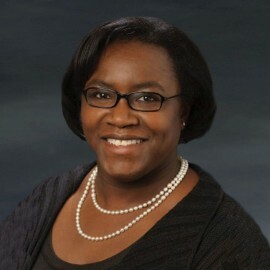 A. Verona Dorch is Executive Vice President, Chief Legal Officer, Government Affairs and Corporate Secretary for Peabody. In this role, she has executive responsibility for providing comprehensive legal counsel for Peabody’s business activities and leads the company’s global legal, government affairs and compliance functions. Ms. Dorch has more than 20 years of legal, governance and government affairs experience counseling diverse global businesses. She previously served as Chief Legal Officer, Chief Compliance Officer and Corporate Secretary for Harsco Corporation, a leading global industrial services company. She also has experience in corporate and securities law from top-tier law firms and with Sumitomo Chemical Co. following a multi-year secondment in Tokyo, Japan. Ms. Dorch currently serves as a member of the board of directors of Girls Inc. in St. Louis and the United Way of Greater St. Louis, is a Fellow of the American Bar Foundation, and has been involved in board memberships with the Pennsylvania Chamber of Commerce, Harrisburg, Pennsylvania Public School Foundation and YMCA. Ms. Dorch was named to Black Enterprise Magazine’s 2018 300 Most Powerful Executives in Corporate America List, the Most Powerful Women in Business 2017 list by Black Enterprise Magazine, and was shortlisted by the Financial Times in 2016 for two honors: Most Innovative Legal Team and Most Innovative General Counsel. She was named among the Most Influential Women in Corporate America by Savoy magazine in 2016. She holds a Bachelor of Science degree from Dartmouth College and Juris Doctor Degree from Harvard Law School. Peabody is the leading global pure-play company, serving power and steel customers in more than 25 countries on six continents. The company is headquartered in St. Louis, Missouri and is listed on the New York Stock Exchange under the iconic ticker symbol BTU. Peabody is guided by seven core values: safety, customer focus, leadership, people, excellence, integrity and sustainability.